This is a follow up image to those in the last two posts. 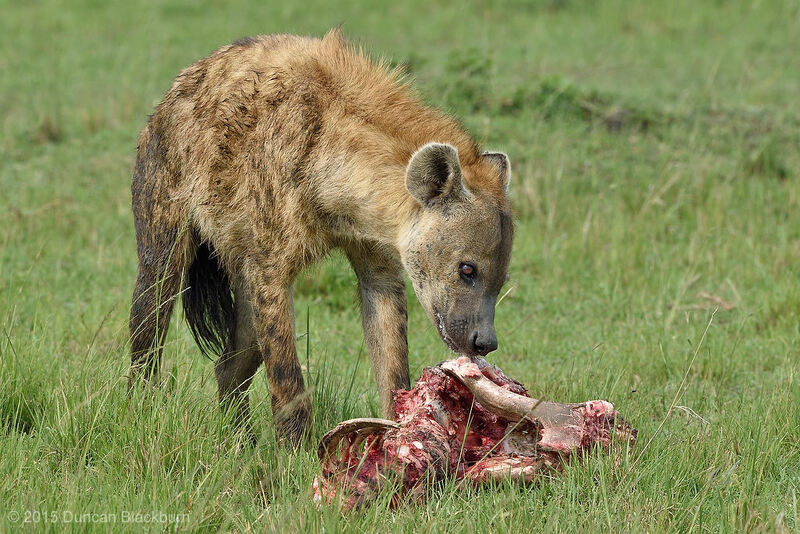 After all the fuss, fighting and commotion, along came this Spotted Hyena and claimed the remains for himself! The Spotted Hyena, also known as the laughing hyena, is a species of hyena, currently classed as the sole member of the genus Crocuta, native to Sub-Saharan Africa. 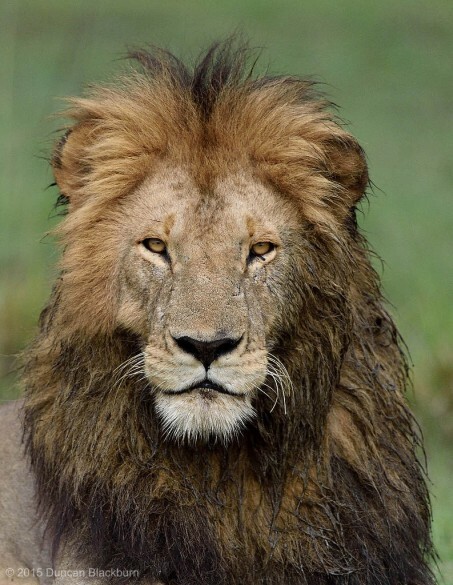 It is listed as Least Concern by the IUCN on account of its widespread range and large numbers estimated between 27,000 and 47,000 individuals. 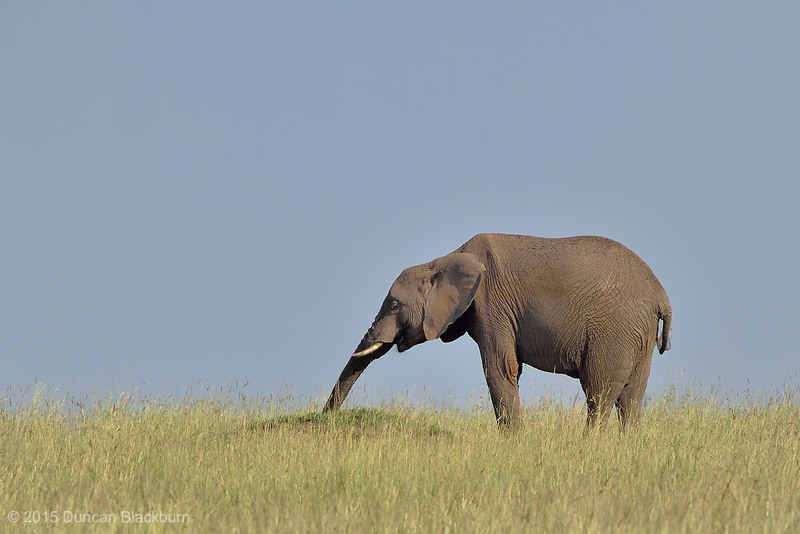 The species is however experiencing declines outside of protected areas due to habitat loss and poaching. 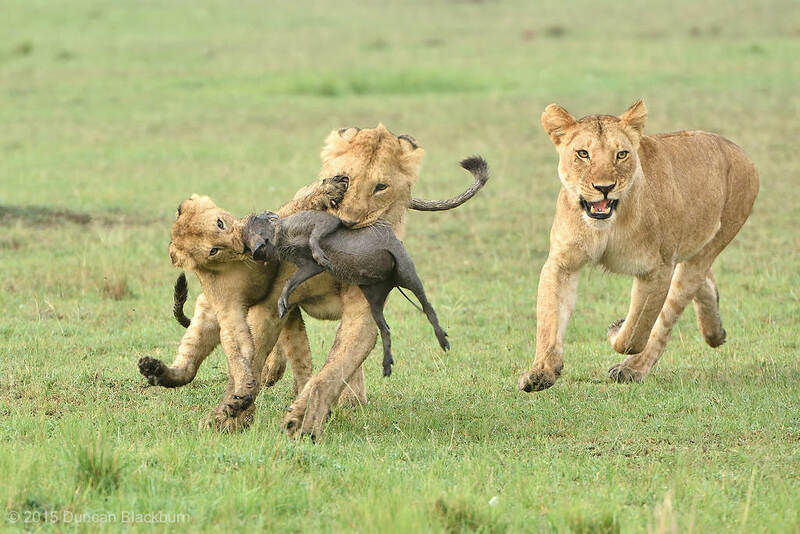 Shortly after arriving in the Masai Mara we learnt that some lions had killed a hippo calf. 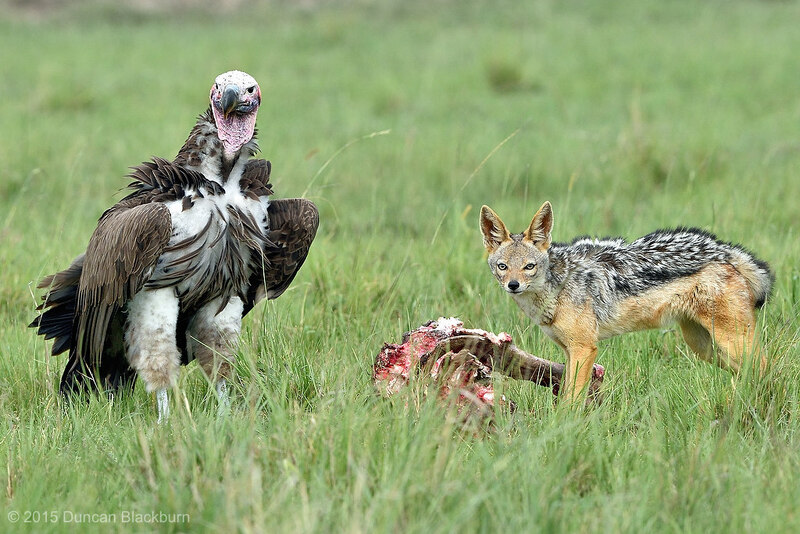 We went in search of the kill site only to find a stand-off between a Lappet-faced Vulture and a Black-backed Jackal! This is an Old World vulture belonging to the bird order Accipitriformes, which also includes eagles, kites, buzzards and hawks. It is the only member of the genus Torgos. It is not closely related to the superficially similar New World vultures, and does not share the good sense of smell of some members of that group. The Lappet-faced Vulture is a huge species, ranking as the longest and largest winged vulture. The Black-backed Jackal is a canid native to Africa. Compared to other members of the genus Canis, the black-backed jackal is a very ancient species, and has changed little since the Pleistocene, being the most basal canine alongside the closely related side-striped jackal. It is a fox-like canid with a reddish coat and a black saddle that extends from the shoulders to the base of the tail. It is a monogamous animal, whose young may remain with the family to help raise new generations of pups. 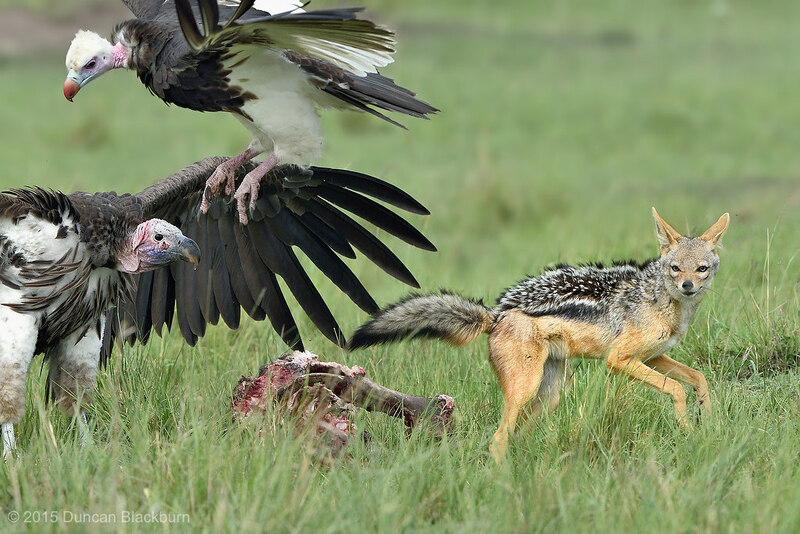 The black-backed jackal is not a fussy eater, and will feed on small to medium sized animals, as well as plant matter and human refuse.